The De Gregorio Cajons are flamenco-style cajons with guitar strings on the inside of the front plate acting as snares. The strings are adjustable, and overtone-control tape is included to alter snare response and tone. Handmade in Spain, these cajons use only water-based lacquer finishes and Forest Stewardship Council-certified woods throughout. The Bravo cajon is made of first-grade birch plywood. The wood composition is flexible and allows optimum response with the snare system. It also features four plastic feet on the bottom to protect the floor while increasing tone and projection. 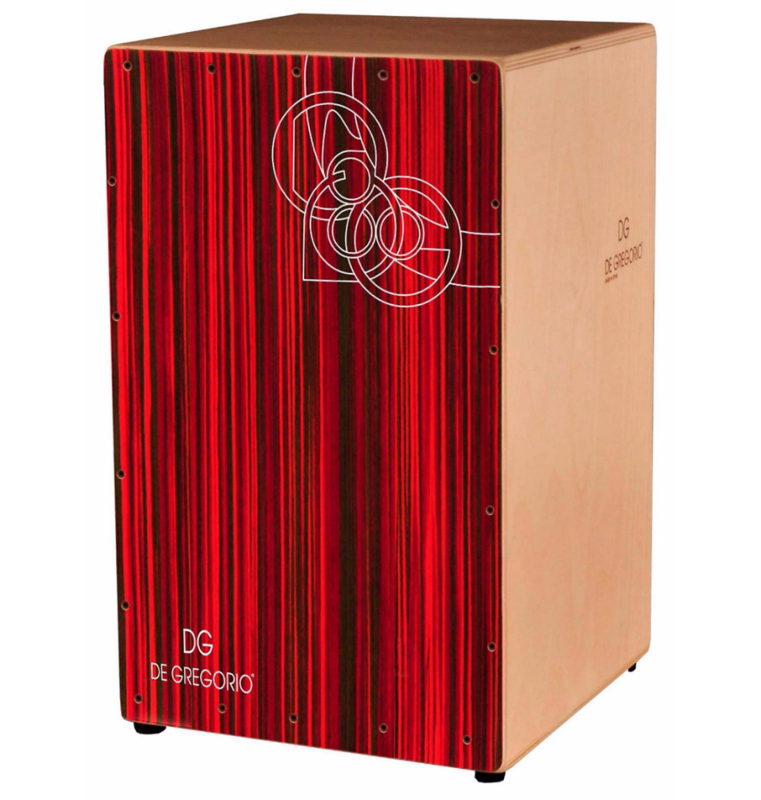 Give this great sounding cajon a try!